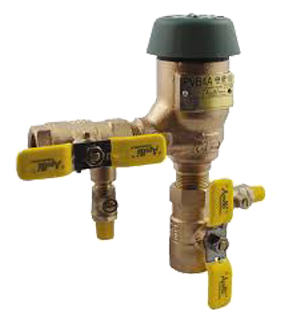 ASSE 1056 – Spill-Resistant Vacuum Breaker (SVB) | Backflow Solutions, Inc. The SVB is similar to the PVB, however it is designed to be spill-resistant for indoor use. Like the PVB, the SVB is designed to protect against backsiphonage and is not to be subjected to backpressure. Typically, the SVB is installed on chem-soap dispensers, x-ray supply lines or tank fills.